HOW ARE YOU DIFFERENT FROM OTHER WEDDING PHOTOGRAPHERS? A professional photographer knows their gear and equipment to produce the most amazing photos in any situation. 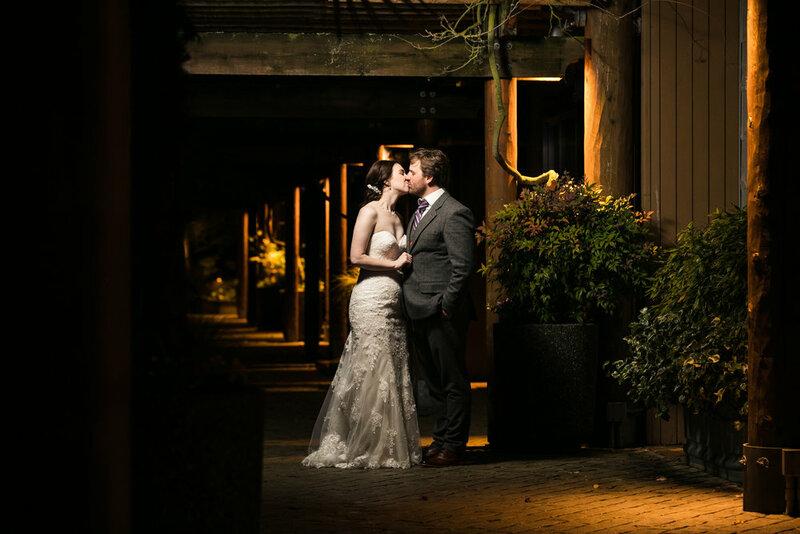 It's easy to get great photos with an amazing venue, and incredible lighting. Where we stand out is producing amazing images in any environment. As full time wedding photographers we have shot for hundreds of happy wedding clients. Knowing we are responsible for documenting one of the most important day of your life is an incredible responsibility. Rest assured, we have the training, experience and equipment to be put in any situation and make it amazing. HOW MUCH DOES TRAVEL COST? Talk to us. Let us know your plans. Most of the time we do not charge extra fees, to include out of state weddings. Crazy right? Never hurts to ask! DO YOU USE SECOND SHOOTERS OR ASSISTANTS? Second shooters are generally apprentices, learning the business from a more seasoned photographer like Simon or Chris. We do have a pool we resource from. We have very high standards for our 2nd shooters, and because they are still learning we have a small flat fee to add them to the package. We do from time to time, depending on the size and location of the wedding, bring with us an assistant. This has no additional cost the client. Now if your wedding is a large one, with tons of guests and you want every aspect of the day covered from having a photographer in trenched with the guys and with the girls for getting ready, all the way through having your amazing exit photographed then you might want to consider 2 professional photographers. This is where having Simon and Chris works perfectly. As full time professional wedding photographers there are no tasks either one can't handle. Having the both of them at your wedding will make sure they cover enough ground to get photos of all your friends and family enjoying the ceremony and reception. Because we do not use heavy processing and treatments found in Photoshop we are able to quickly edit the photos and get them to you. You can view the photographs, order prints, and download the high-resolution photos at your leisure over the next year. We specialize in photojournalism/lifestyle photography. The most natural and unobtrusive way to photograph your wedding is to blend into the day's events and capture the day as a photojournalist would. We always stay close to the action but remain quiet and respectful. We will not boss your friends or family around or get in the way. One of the greatest compliments we often receive is from clients after they see their photos is how amazed that so many unique images were captured without the stress of being ordered around. Time will also be spent with the bride and groom moving around to different locations, exploring the most interesting and photogenic locations. HOW MANY PHOTOS WILL WE RECEIVE WITH OUR PACKAGE? Generally, you will receive 85-100 images per hour of coverage, depending on the location, amount of guests, number of wedding party etc. You can expect anywhere from 500-800 images delivered. DO WE GET THE FULL SIZE DIGITAL IMAGES OR REDUCED SIZE? Some photographers will only offer what is called "digital negatives" meaning you can get low quality images that are not edited. Or they will provide you with Reduced Sized images that are great for email, and Facebook, but but nothing you can take to make prints out of. We pride ourselves in making sure the clients get Full Sized Hi Resolution images that are all edited and presentation ready. These are your photos! You can take them to make prints, put them online, do what you want, they're yours! DO YOU PHOTOGRAPH FORMAL SHOTS OF FAMILY AND FRIENDS? Yes! While we specialize in photojournalism/lifestyle photography, we also understand the importance of traditional formal portraits of you and your family. WHAT DOES THE BOOKING PROCESS LOOK LIKE? We want to be very upfront through the whole experience. If you contact us and ask for a specific price quote, we will email you a detailed list of what you can expect to receive. Everything is handled on line. You will view and approve the quote on our secure website. After filling out a brief questionnaire you will be asked to review and sign the electronic copy of your contract, right from your computer. You can make your payment right online to lock in your wedding date, and you will get an email reminder when the remaining balance is due 4 weeks before your wedding. At anytime you can log into your secure site to review contract, invoices, etc. Having a family member paying the bill for you? No problem, just fill out all the info online that we send you and when it comes time for the payment we can email that generous family member a secure link so they can make the payment fast and secure online. We ask for $1000 to secure your wedding date. We have a lot of people that request the same wedding dates, but priority goes to those who make a deposit to lock it in. Payment can be made online on our secure website by credit card, debit card, paypal, or check. I WOULD LIKE TO RESERVE MY DATE, NOW WHAT? Contact us! Let us know your wedding date and we will tell you if we are available. We tend to book out a year in advanced, so make sure to let us know!